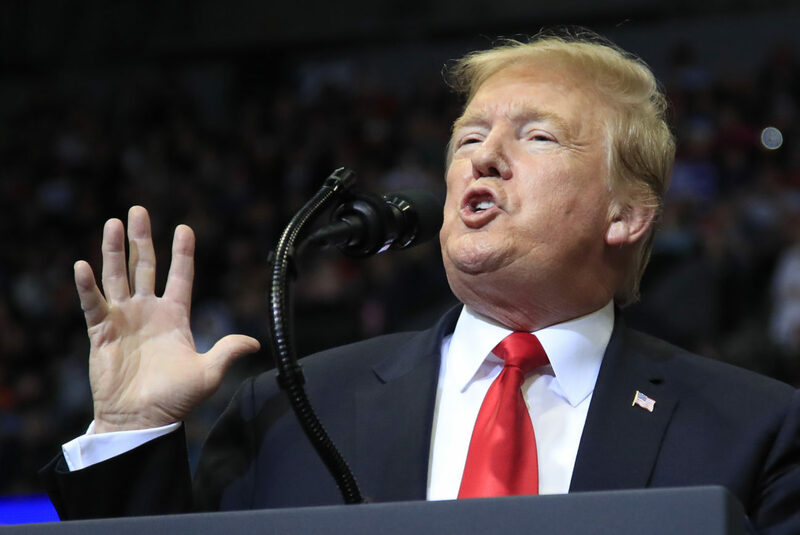 WASHINGTON — President Donald Trump said Tuesday he’s taking a wait-and-see approach on his threat to close the southern border as soon as this week. His administration is grappling with a surge of Central American migrants trying to enter the U.S., and Trump said last week he’d seal the border in the coming days if Mexico did not immediately halt all illegal immigration into the U.S.
A closure would have enormous economic consequences on both sides of the border, disrupting manufacturing supply lines and the flow of goods ranging from avocados to cars. It’s a threat he made before and didn’t act on. Earlier, spokeswoman Sarah Sanders said Trump was not working on a “specific timeline” and he’d look at all options on the table. The Council of Economic Advisers was conducting a number of studies on the potential impact of closing the border and “working with the president to give him those options,” she said. It was a shift from Trump’s threat late last week to seal the border, and quickly. “I am not kidding around,” he said, exasperated by the swelling numbers of migrants, thousands of whom were being released into the U.S. because border officials had no space for them. White House spokesman Hogan Gidley said in an appearance on MSNBC that the White House is now considering a number of options short of a full border closure, such as shutting down certain entry ports or parts of all of them. “Everything is on the table,” he said. Trump is considering bringing on a “border” or “immigration czar” to coordinate immigration policy across various federal agencies, according to four people familiar with the discussions but unauthorized to be identified speaking about them. Aides hope the potential appointment, which they caution is still in the planning stages, would serve as the “face” of the administration on immigration issues and would placate both the president and his supporters, showing he is serious and taking action.